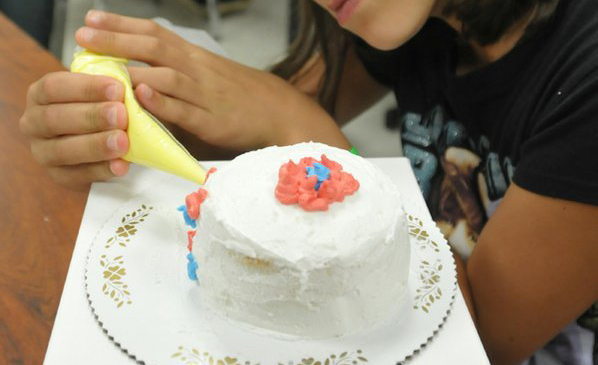 Learn basic cake decorating and how to make and use fondant. Camper will decorate a cake and invite their cabin to come and share. Come join me this summer at Camp War Eagle, check out the Ace of Cakes.